Colorectal cancer is the third most commonly diagnosed cancer in the United States (excluding skin cancers). What’s more, when you factor in both men and women, it’s the second leading cause of cancer-related death. 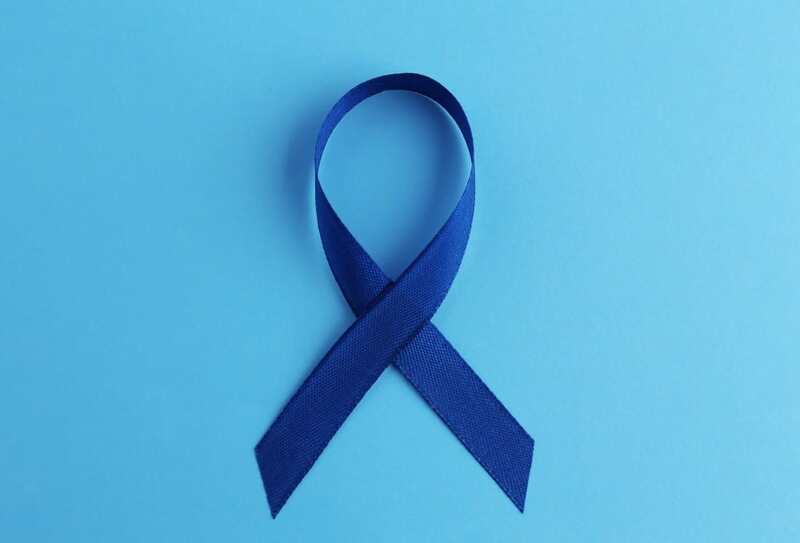 Most people are unaware of these statistics, which is the main reason President Clinton established March as National Colorectal Cancer Awareness Month. This year, 2018, the American Cancer Society predicts that America will see 97,220 new cases of colon cancer and 43,030 new cases of rectal cancer. And, sadly, 50,630 deaths. Those numbers have been falling steadily for the past 30 years but they’re still too high. With proper screening and healthy lifestyle changes, this disease is largely preventable. What Raises Your Risk for Colorectal Cancer? For any disease, there are two main types of risk factors. The first are those you can affect by making lifestyle changes that lower your risk. The second are those you have no control over. Obesity is probably the biggest colorectal risk factor over which you have control. If you are overweight, particularly if you have a large waistline and are male, your risk of colorectal cancer rises. Losing weight is one of the strongest steps you can take to lower your risk. Two other preventable risk factors tie in closely with being overweight: being physically inactive and following an unhealthy diet. Luckily, lifestyle changes here will help lower your weight – and your risk. For ideas on developing a more active lifestyle, read our posts on strength-building exercise and how to begin an exercise program. Dietary changes also help lower your risk and your weight at the same time. Research shows that diets high in red or processed meats raise colorectal cancer risk. We also shared small changes you can make to follow a healthier diet on our blog. In addition to watching what you eat, limit your alcohol intake to two drinks per day for men and one drink for women. Finally, if you smoke, stop. Tobacco use leads to a variety of diseases, not just lung cancer. 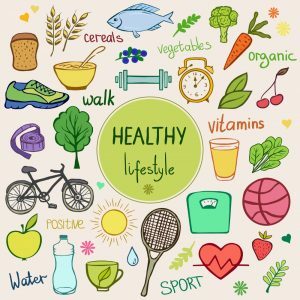 In addition to making those healthy lifestyle changes, one of the best things you can do to protect your health is undergo regular colorectal cancer screenings. The following screenings help your doctor discover abnormal cell growths. Specifically, your healthcare provider is looking for polyps, which typically take between 10 and 15 years to become cancerous. With regular screenings, you can find and remove them early. And, if the polyps are already cancerous, early detection makes the disease much easier to fight (and win). It is recommended that you begin regular screenings starting at age 50. However, if you have a family history of colorectal cancer, talk to your doctor about when to begin screening. Most insurances cover these preventive services, including Medicare and Medicaid. Also known as an air-contrast barium enema and a lower GI series, this screening is less common than it used to be. It is relatively safe and does not require sedation, but it can miss smaller polyps. In addition, if any polyps are discovered during the screening, they cannot be removed. An abnormal result requires a colonoscopy. This screening is performed every five years. This screening is much more effective than a barium enema because it allows the biopsy and removal of any polyps discovered during the test. It typically requires sedation, so you need someone to take you home afterward and may miss a day of work. The test is done every 10 years. This screening looks for hidden blood in your stool. You take it in the privacy of your own home and return your samples for testing. If your doctor recommends this test, follow his or her instructions carefully, as it is very easy to affect the results. Pros are the fact that the test is easy and inexpensive. Unfortunately, cons include that it misses many polyps and even some cancers. It can also produce false positives, since there are numerous reasons there may be blood in your stool, such as ulcers, colitis, and hemorrhoids. This is a yearly screening. This is mainly performed as a cancer detection test, not to discover polyps. This is another sample kit you complete at home. Follow the instructions carefully and, if you have questions, call your doctor. This test occurs every three years. The most common signs of colorectal cancer are the result of conditions other than cancer. However, if you notice any of the following symptoms, it’s important you schedule an appointment with your doctor right away to determine the cause. 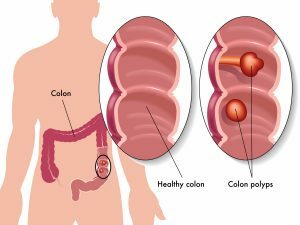 You may also have colorectal cancer and display none of these symptoms. That’s another reason that screening is so important. If you are over age 50 and have never been screened, schedule an appointment today.